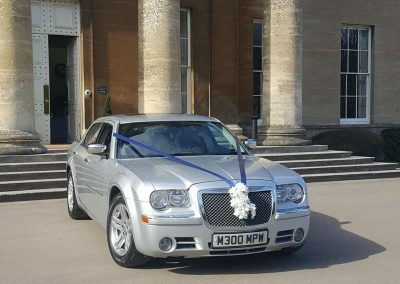 If you are looking for your perfect wedding car, we think we can help. 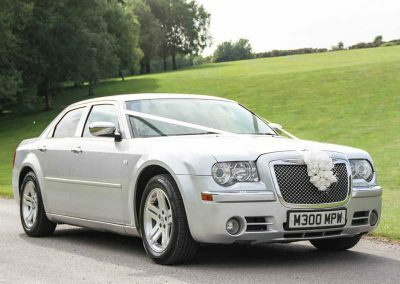 Our range of wedding cars balance luxury, style and affordability, making them the ideal choice for any wedding or civil ceremony. All our wedding cars are chauffeur driven and include traditional silk ribbons and flowers to match your wedding colour scheme at no extra cost. 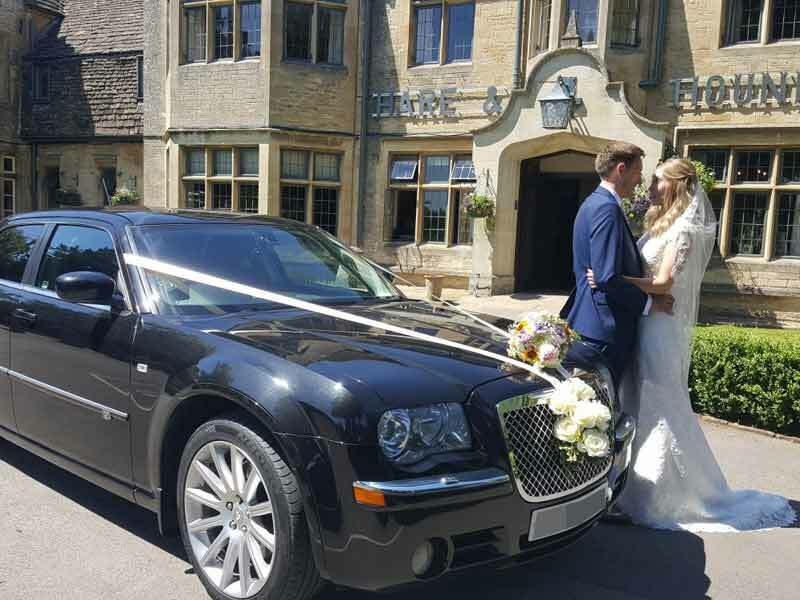 Your chauffeur and car can be booked for any part of the day – from home to the wedding venue, between the wedding venue and reception, to an overnight location for bride and groom or the journey home for family and wedding guests. 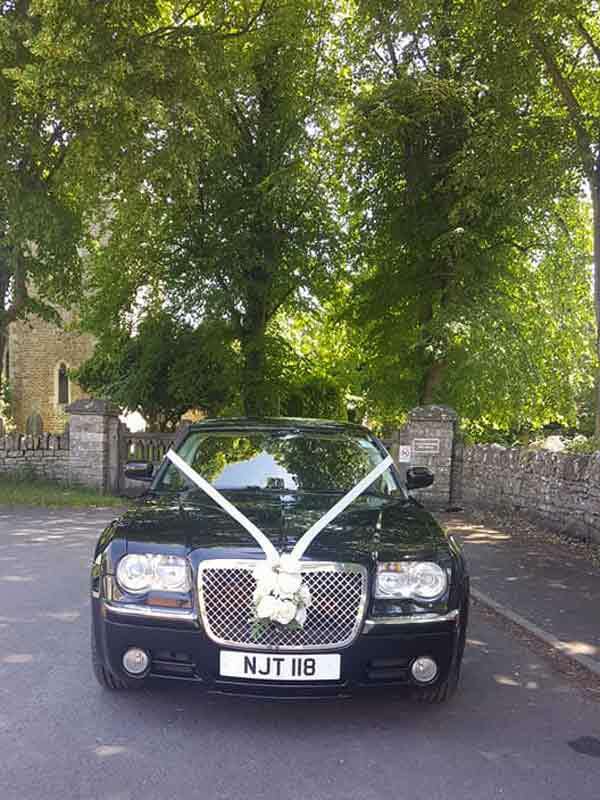 We can also provide additional wedding cars for the bridesmaids (up to 7 seats if you need it), for the best man and groom for the wedding and transfers for bridesmaids, family or guests to the reception. 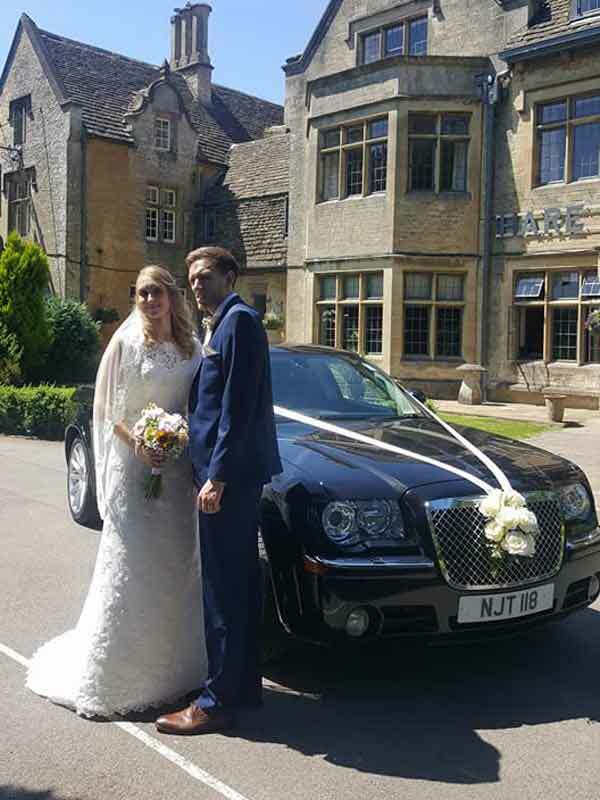 To complete the wedding experience, why not book one of our cars to take the newlyweds to a UK honeymoon destination or to any airport for honeymoon flights. 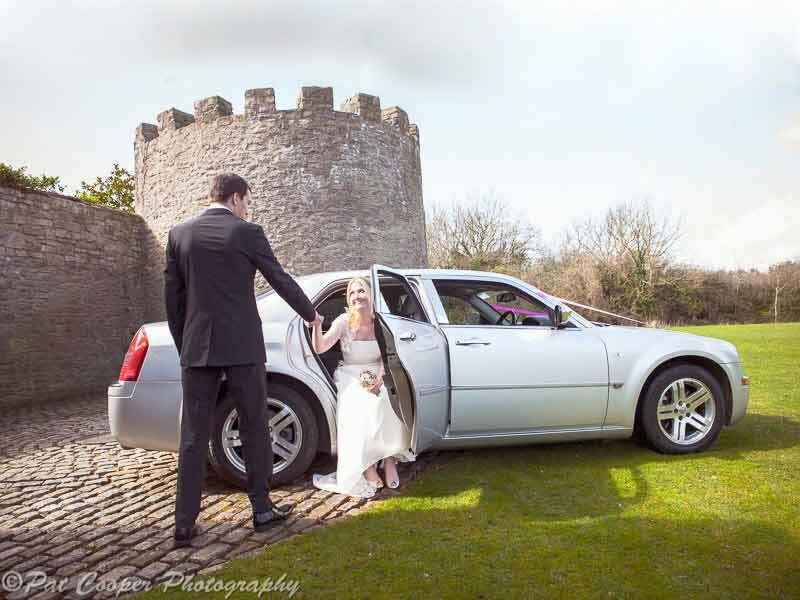 Hundreds of brides and grooms have entrusted us to provide their wedding cars since 2008. Each wedding is unique, and we use all our experience to make sure you receive undivided attention and the perfect chauffeur service for your big day. 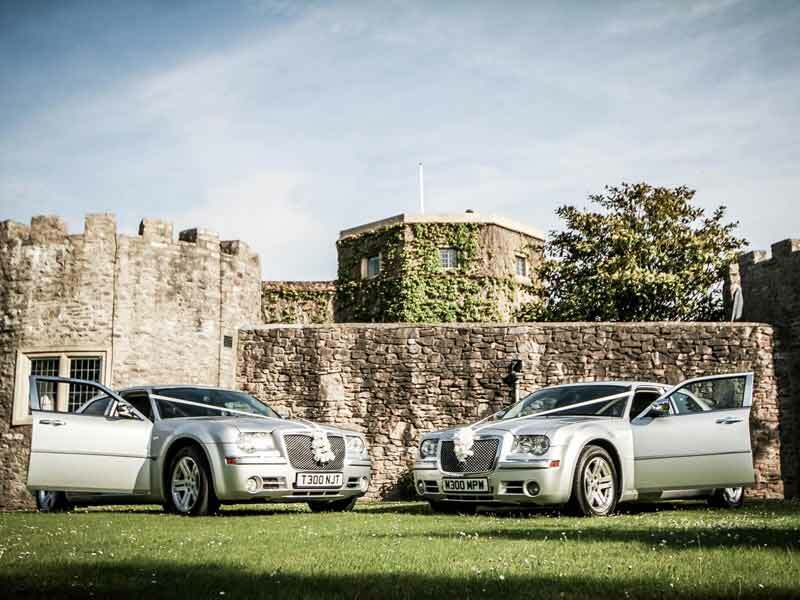 We’ve created a free guide to choosing the perfect wedding cars which you can download [here]. 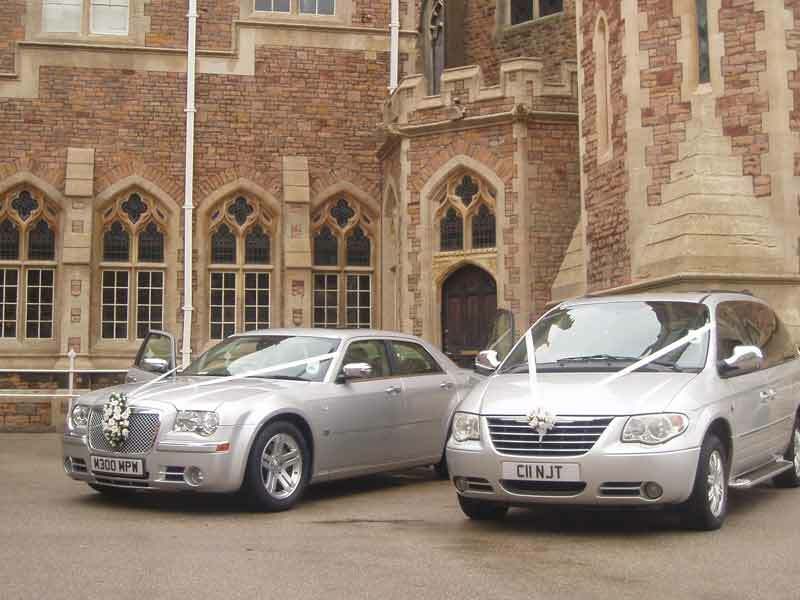 For a personalised quote please get in touch as we would be delighted to discuss your special day in more detail. 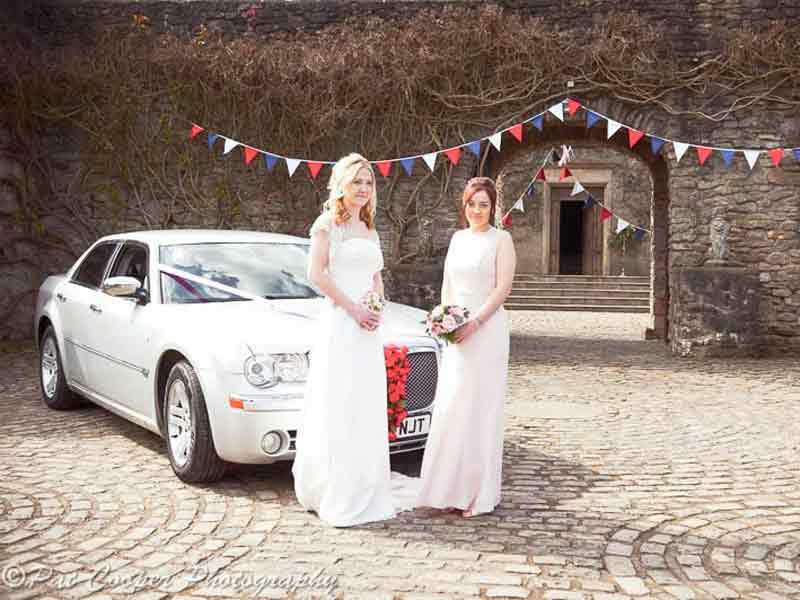 We’ve created a free guide to choosing the perfect wedding car which you can download here. 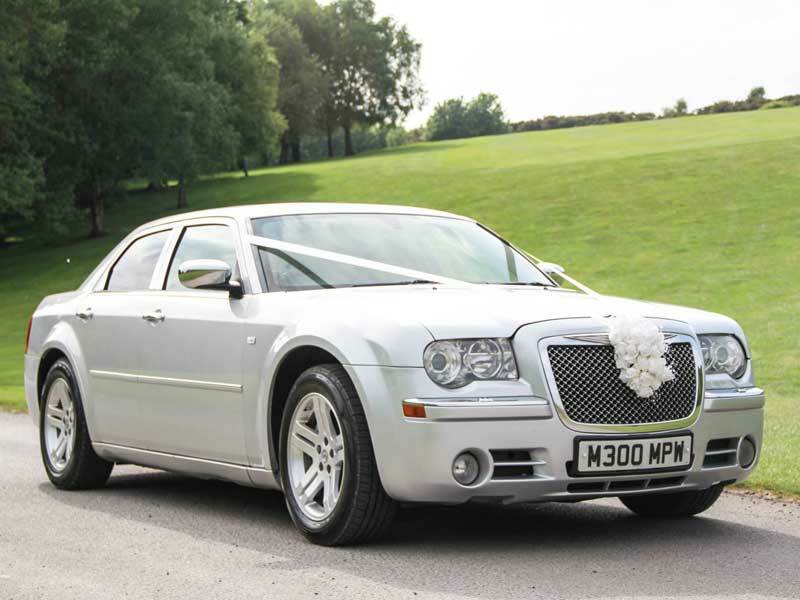 Choose between a silver or black luxury Chrysler 300c for your perfect wedding car. 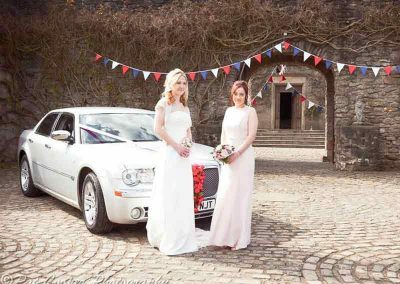 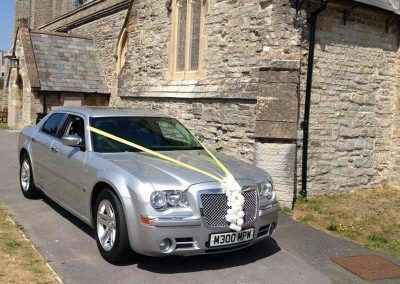 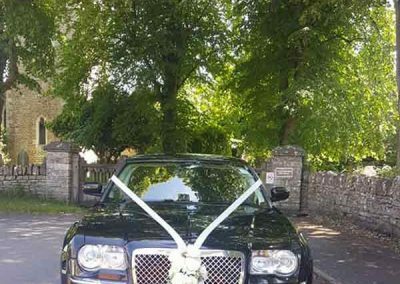 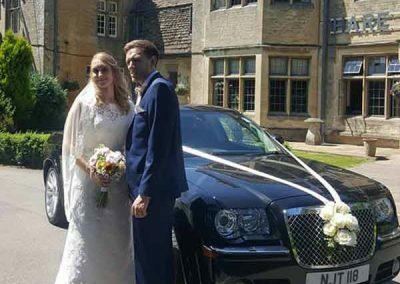 They cars are the perfect choice for the bride to travel from home or hotel to the church or wedding ceremony, decorated with silk ribbons and flowers to complement your colour scheme, at no charge. 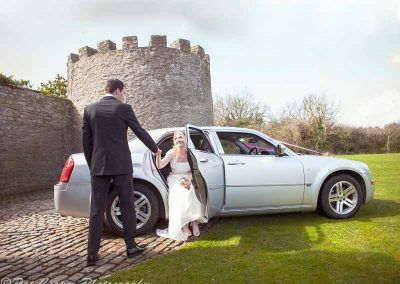 Our driver can wait at the venue and then take the newly married couple to their reception venue if required. 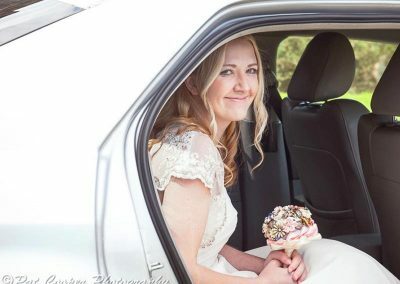 These 4-seaters are ideal for your bridesmaids too. 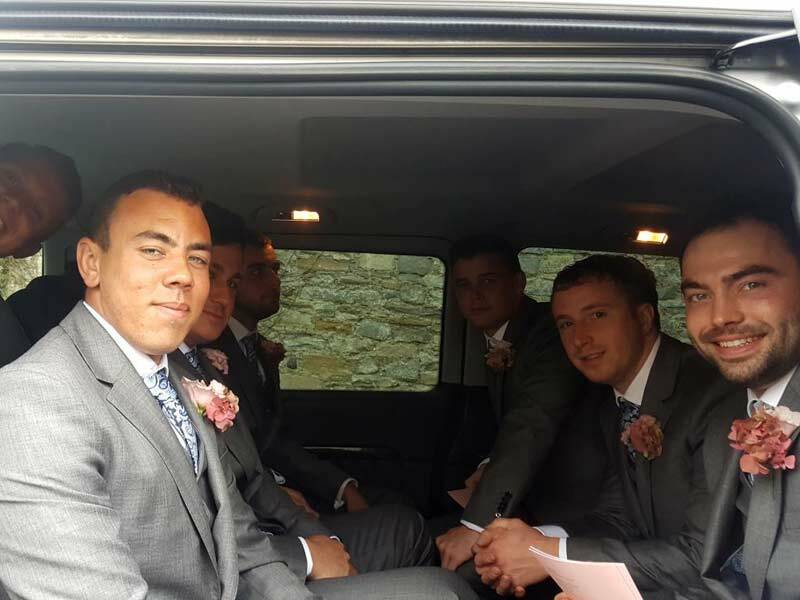 If you have lots of bridesmaids or young attendants, then our people carriers can accommodate up to 7 passengers with car seats if you have very young children in the party. 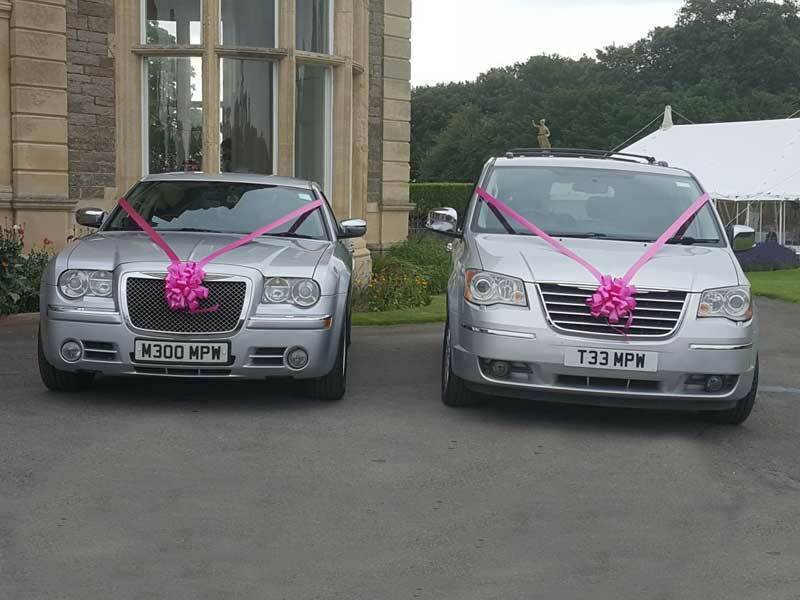 We booked Cadbury Cars for our wedding day, they were fantastic – both cars turned up with plenty of time and showed great patience whilst the bridal party were running a little late! It was wet weather and they went above and beyond cleaning off the car before I got in and out to ensure my dress stayed clean, plus the driver had tissues and mints to hand for a bride in need! 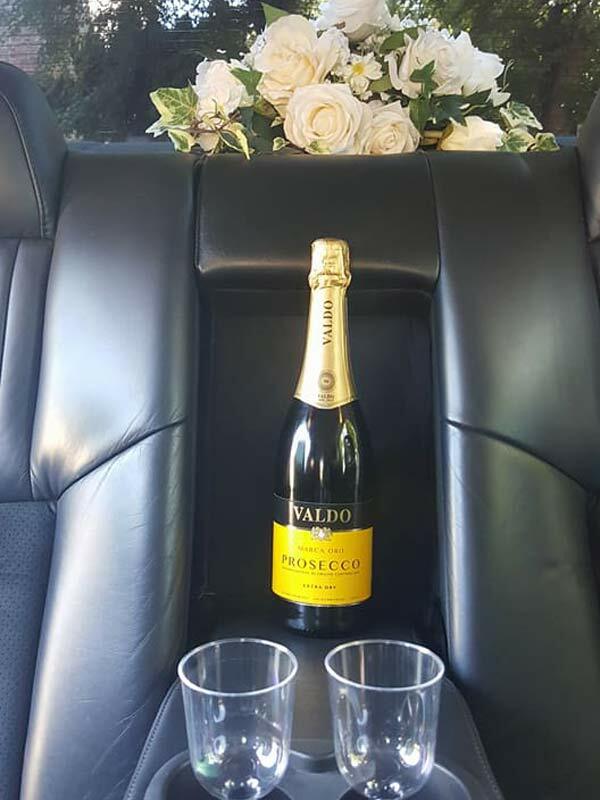 Everyone wants to enjoy your special day. 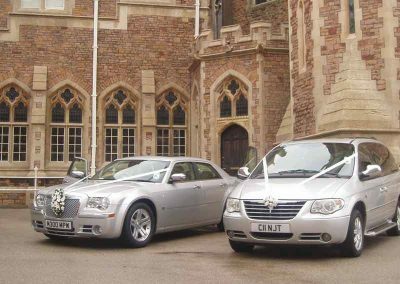 The wine and champagne will be flowing at the reception and evening party, so why not book some chauffeur transport for your family and closest friends. 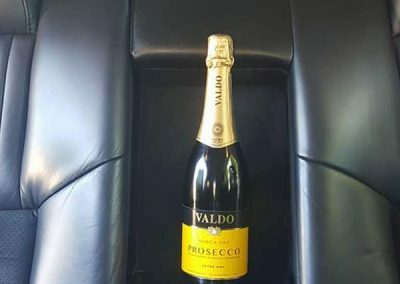 Parents, grandparents and siblings really appreciate the chance to fully enjoy the day in the knowledge that one of our drivers is waiting to take them home at the end of the night. 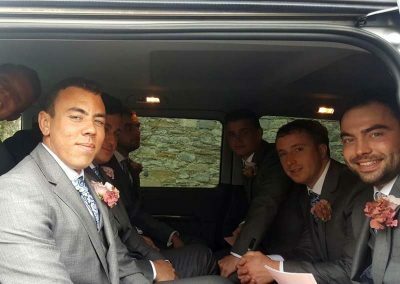 If they live close to each other or are staying overnight at a local hotel then a people carrier is a good choice for small groups going to the same destination. Thank you for providing our wedding car. The car was lovely, and Kayleigh passes on her special thanks for your calming and warm approach which reassured her and kept her as relaxed as possible – we really appreciate this and the little touches that made the day so perfect. Whether you are keeping it local, exploring another part of the UK, or jetting off to an exotic location Cadbury Cars can get you there in style. 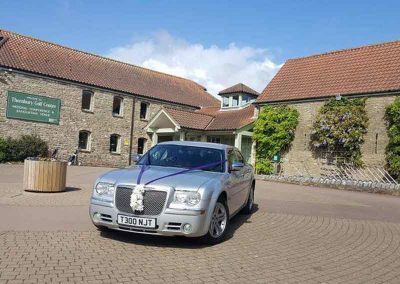 Book one of our cars to take to you a local hotel, further afield or to the local airport for a stress free start your honeymoon. 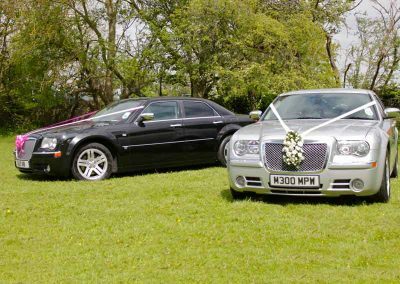 Even if you are not going away straight after the wedding, talk to us about these services when you book your wedding. Thank you for all the cars on Saturday. 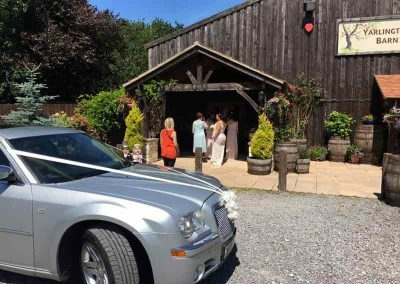 Not only was the service first rate but I was particularly impressed that nothing seemed too much trouble – even helping us get all the presents and table decorations back at the end of the night.